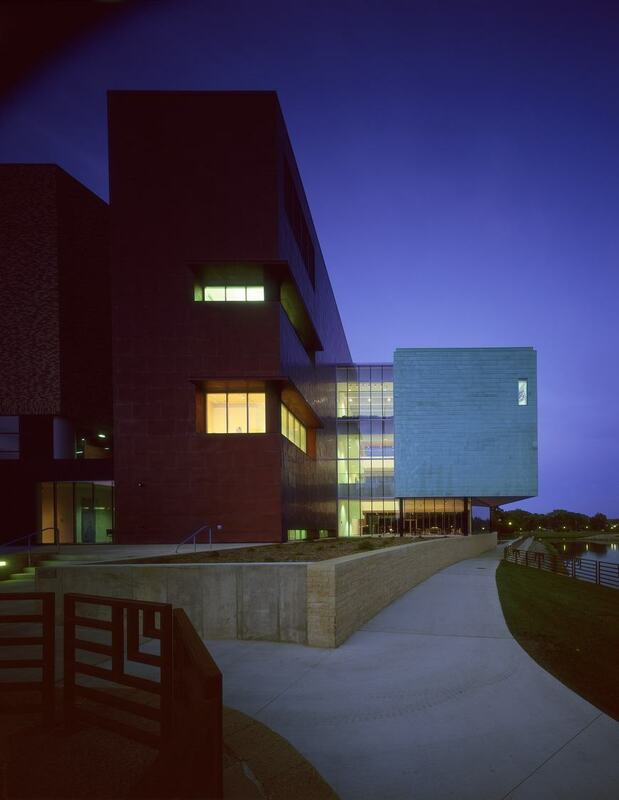 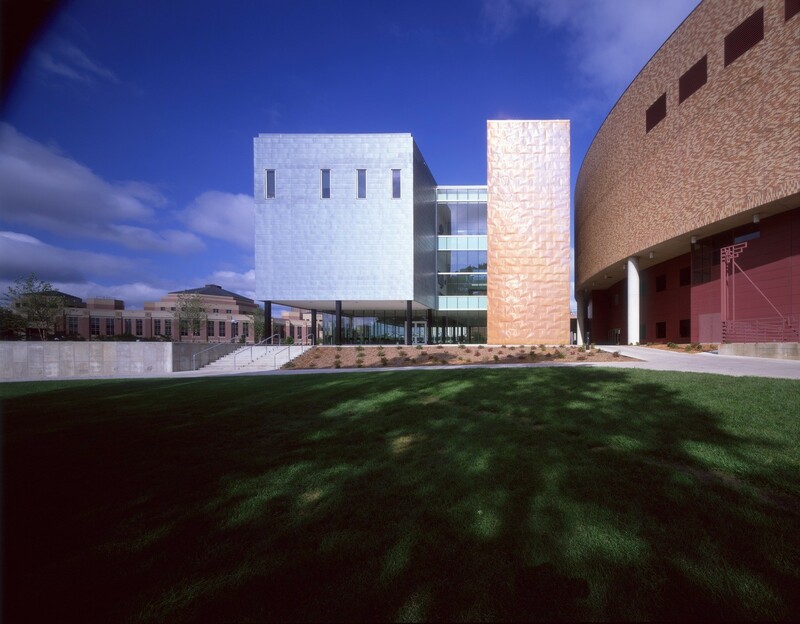 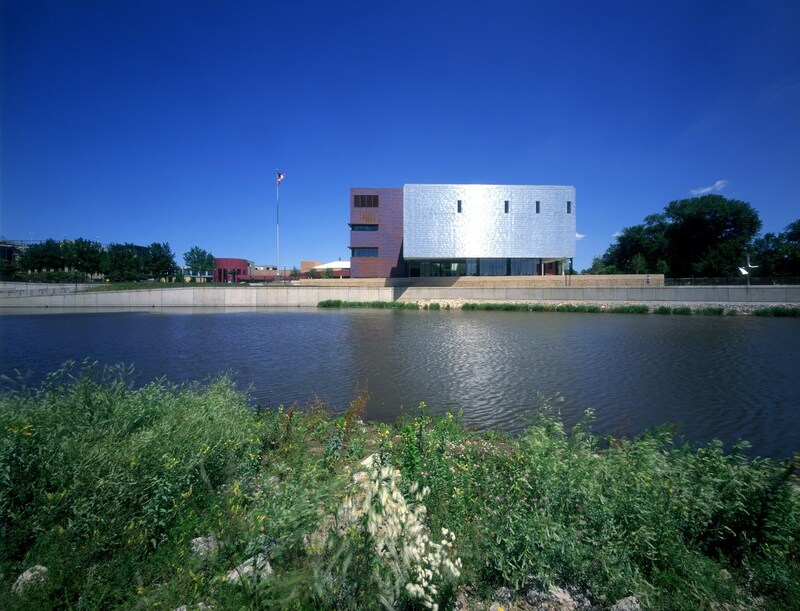 The Rochester Art Center unfolds in two architectural volumes linked by a glass lobby that frames views of downtown Rochester and the Zumbro River. 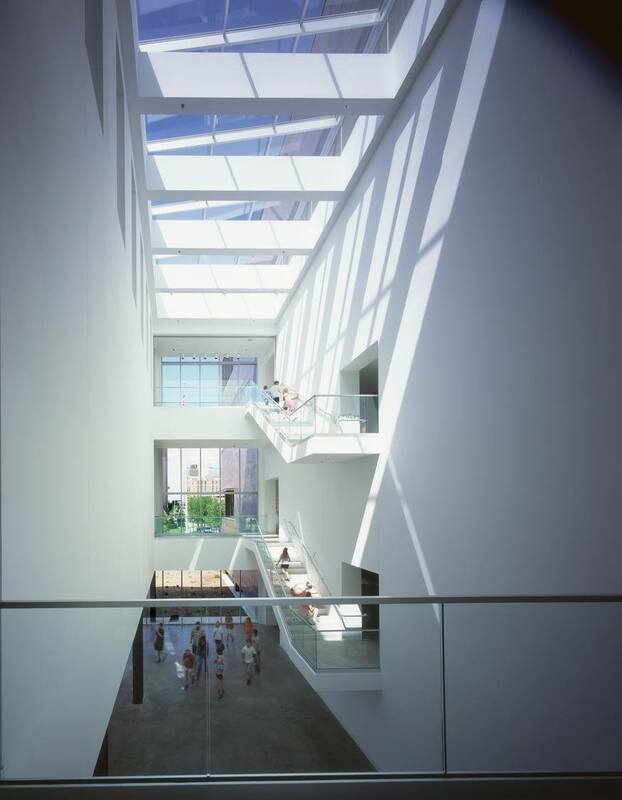 The Tower block serves as the structural anchor for the cantilevered, three-story Art Box gallery wing, which appears to float over a glass lobby and the river. 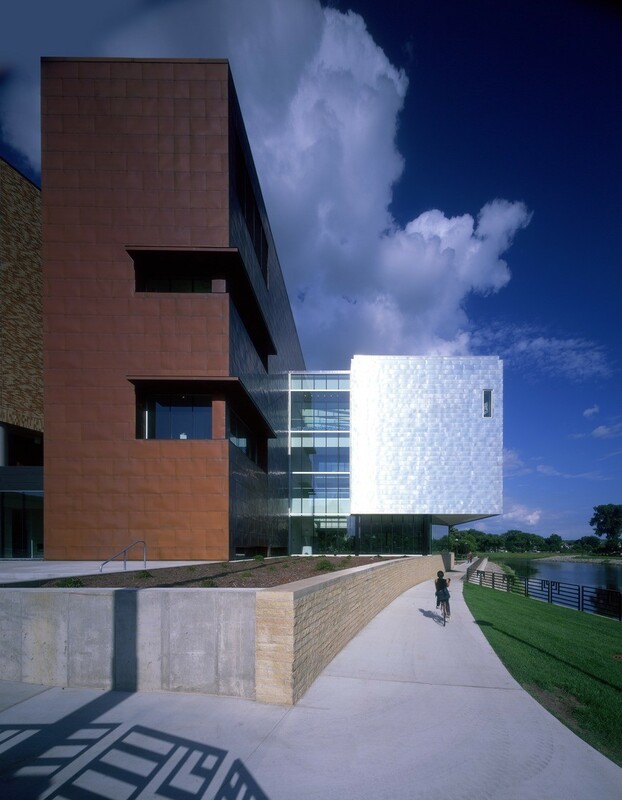 The Zumbro River Gardens surround the building with foliage, creating a serene setting for visitors. 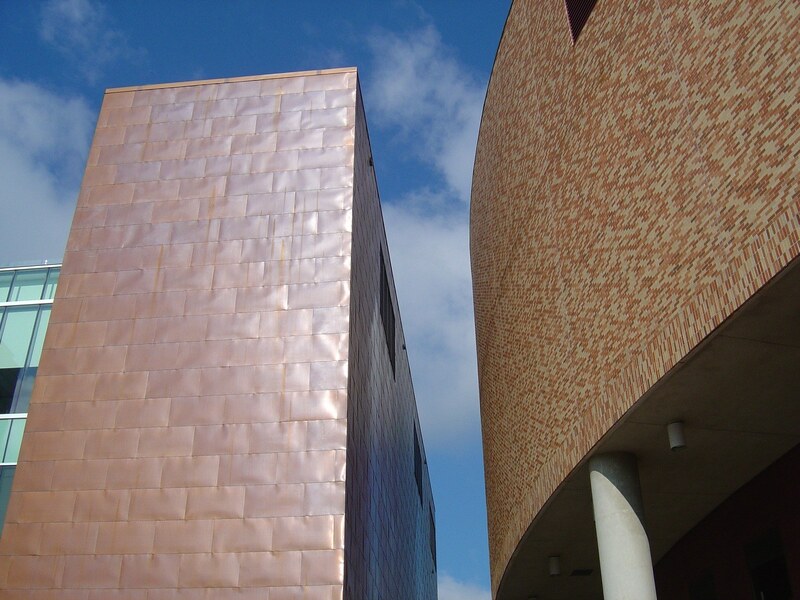 The two simple volumes, slightly offset and clad in different metals - copper and zinc - are handled well. 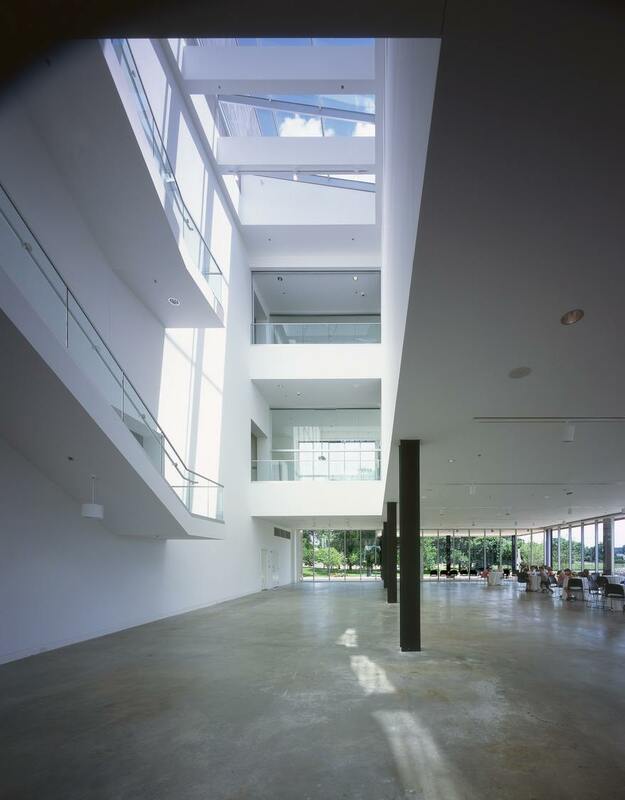 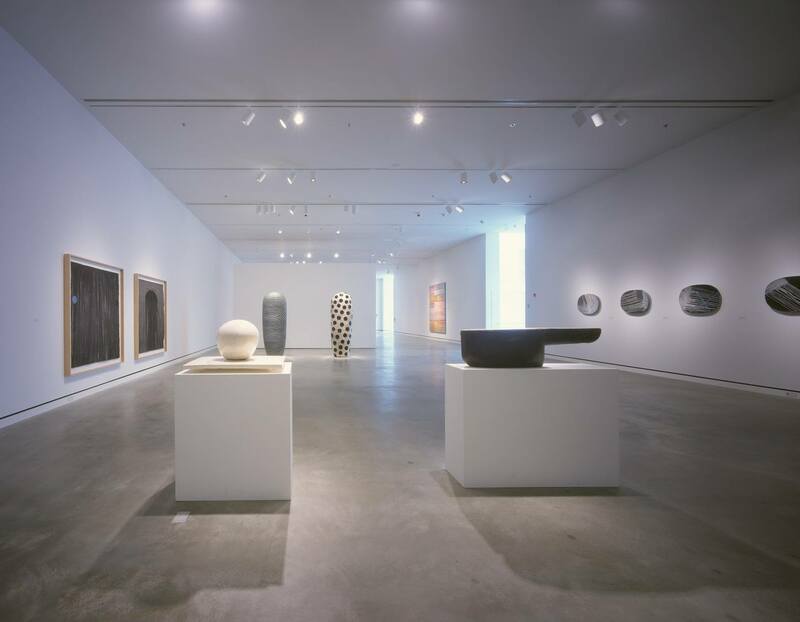 The zinc box seems to float, with the space between the two masses bringing light into the center.